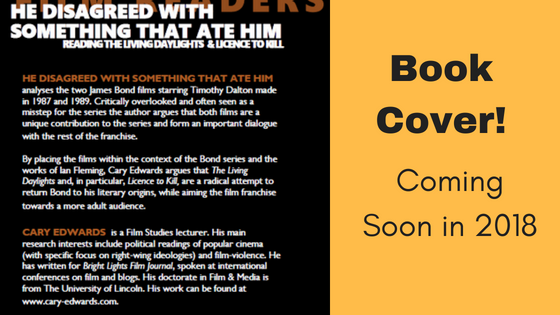 HE DISAGREED WITH SOMETHING THAT ATE HIM analyses the two James Bond films starring Timothy Dalton made in 1987 and 1989. 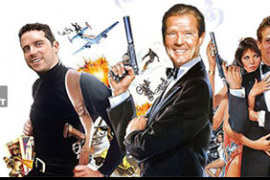 Critically overlooked and often seen as a misstep for the series the author argues that both films are a unique contribution to the series and form an important dialogue with the rest of the franchise. 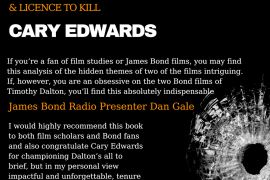 By placing the films within the context of the Bond series and the works of Ian Fleming, Cary Edwards argues that The Living Daylights and, in particular, Licence to Kill, are a radical attempt to return Bond to his literary origins, while aiming the film franchise towards a more adult audience.